In our last Sharekhan mobile app review, we have discussed the pros and cons for the new ShareMobile. 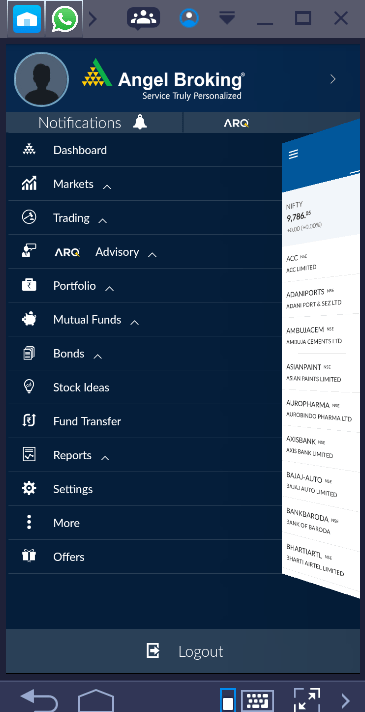 After Zerodha has upgraded their Zerodha Kite mobile app, all other big players in the broking industry are compelled to upgrade their mobile apps too. 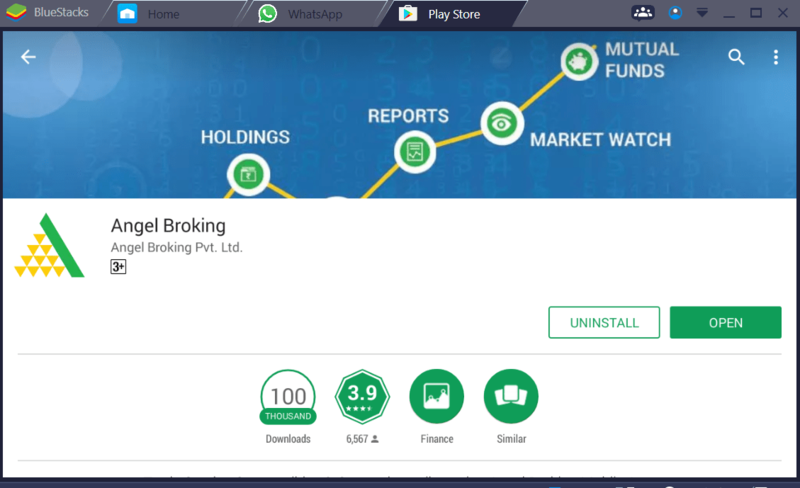 In this post I will see the mobile trading apps reviews for Angel Broking, as well as I, will compare Angel Broking vs Zerodha side by side in respect to both the companies mobile apps. First, let me check the mobile trading apps reviews for Angel Broking. 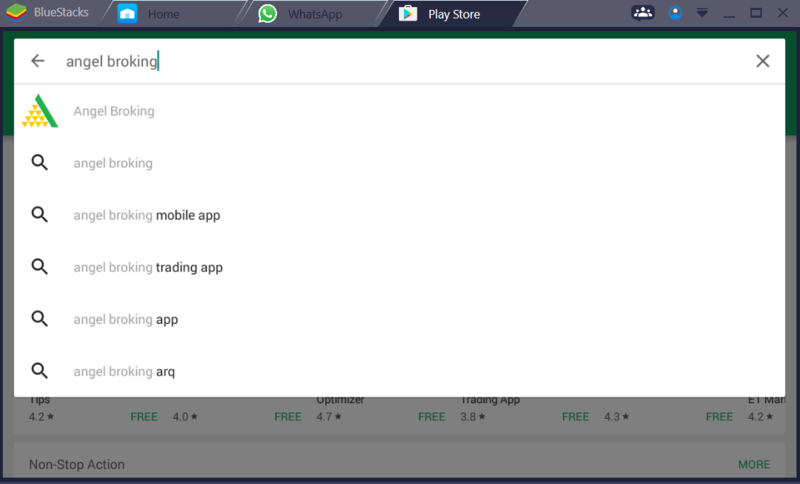 You can download Angel Broking mobile trading app by visiting Google Play Store and writing “ANGEL BROKING” in the search window. 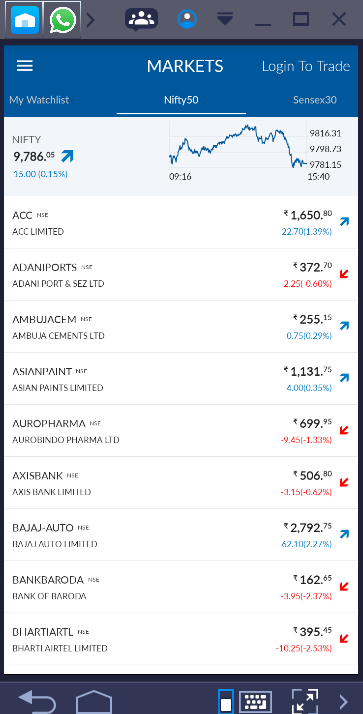 Once the mobile trading app is open it will show you market watch without login also. But you need to login for trading. Now let’s login to proceed further. We will put our id and password to login to the Angel Broking mobile trading app. Now once the mobile app is logged in we can access the menu by clicking the extreme top left corner. The menu items will be visible. The MORE link in the menu leads to Contact Us, FAQ, About Us, Terms and Conditions, Web Link, App Version, Membership Details. 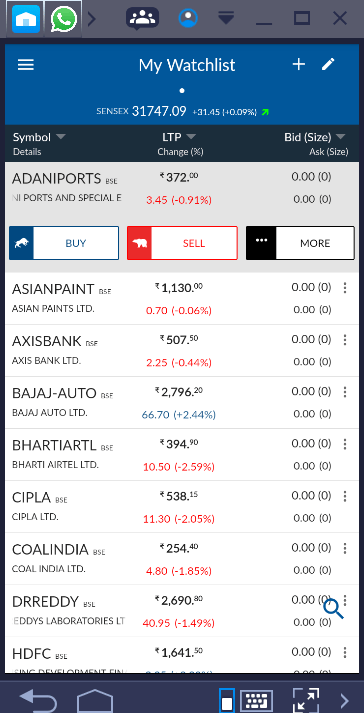 How to put buy or sell orders in Angel Broking mobile trading app? Now, I have almost touched every aspect in the Angel Broking mobile trading apps reviews lets see the side by side comparison on Angel Broking Vs Zerodha in their mobile apps. 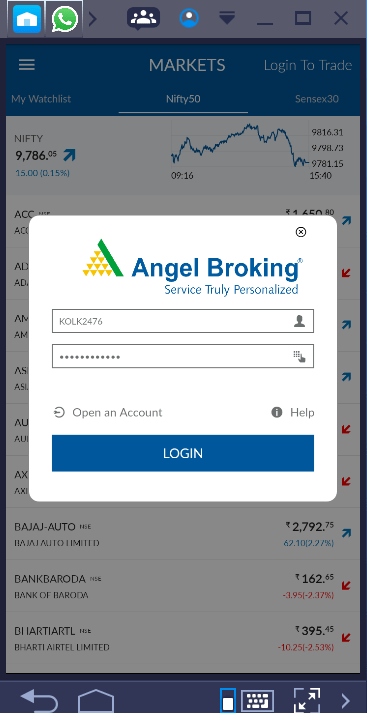 Ease of login: Angel Broking mobile app logs in faster than Zerodha Kite Mobile, Kite requires security answers, so their login process is longer. Security: Zerodha is the winner as they has an extra step in login. Trading: Both mobile apps are comparable in trading and orders. Charting: Zerodha Kite is the clear winner as Angel Broking does not have any charting facility in the mobile trading app. Angel being a regular broker and Zerodha being a discount broker, Zerodha already has the brokerage advantage. So in our mobile trading apps reviews after doing side by side comparison of Angel Broking Vs Zerodha, I found that Zerodha Kite is much more superior to Angel Broking mobile app. 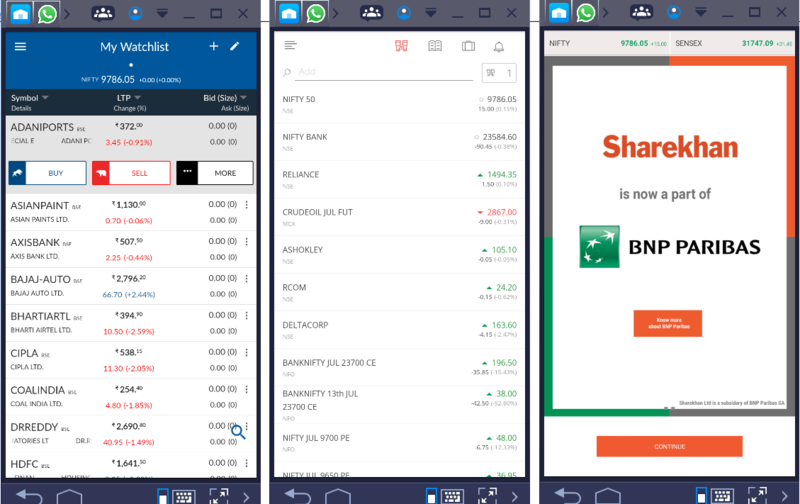 We have already seen the comparison of Sharekhan Mobile app Vs Zerodha Kite. Hence, if you are looking for the best mobile trading platform, I shall suggest you to choose Zerodha Kite instaed of Angel Broking OR Sharekhan.